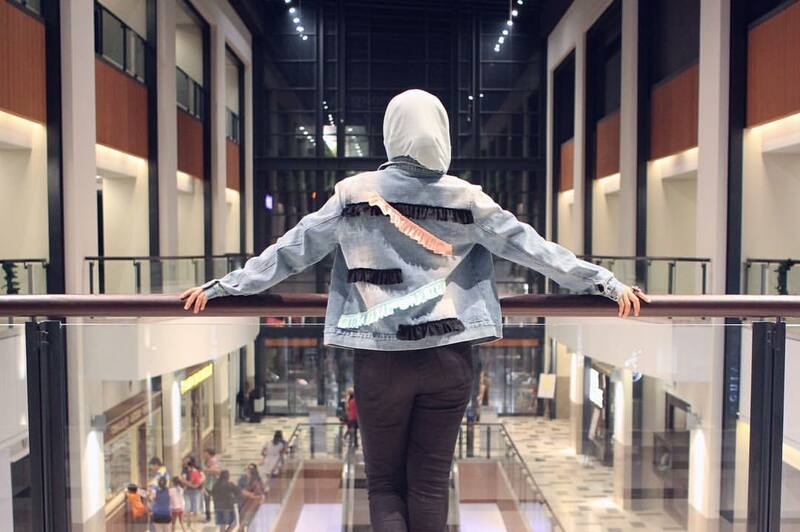 STYLEBYSYA by Syahira Zakaria. Powered by Blogger. 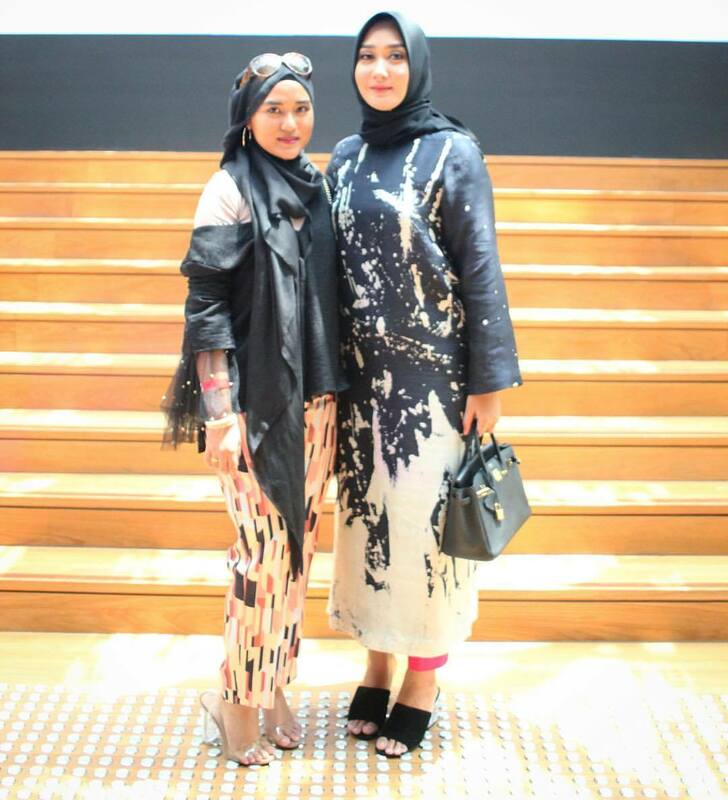 I attended Singapore Fashion Week at the end of October with Penny during my birthday weekend. It was an amazing week and I absolutely enjoyed our weekend getaway! I was invited to Kree's show with HIJUP as well as aere's show. I am wearing Kree's Wilma Top in Black and Kate Pants, both from their The Wanderer collection. The above shot was taken by Penny at Singapore's National Gallery which has so many gorgeous steps, something we've all obsessed over since the days of Blair Waldorf. I was so glad to bump into old friends at the shows as well as make new ones. 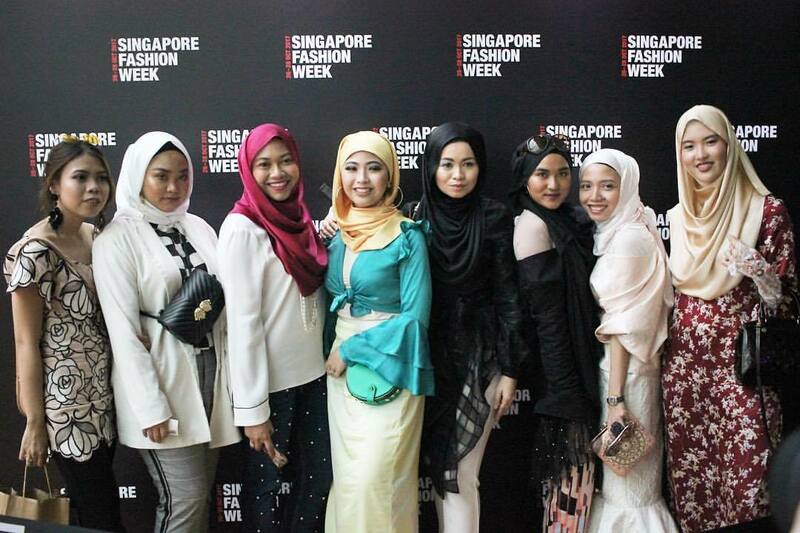 I felt so blessed to be able to be amongst the beautiful and multitalented ladies especially the Singaporean fashion bloggers who are all so welcoming and friendly. I was also given front row seats for both shows. Thank you so much, KREE and aere for the invite and VIP treatment! As you all may (or may not) know, I left working full time in the fashion industry early this year and went into Banking. However, I will always have one foot in the fashion world as a fashion enthusiast. This world had embraced me, and so I will continue to thrive along with the industry. It is a truly beautiful industry, both inside and out. Congratulations on your long call, @jasyu257 ! I know how important this morning was to you. And I'm so happy to have been able to be there to witness this momentous occasion for you just as you have always been there for me as well. Know that we'll always be here to support you no matter what it is no matter how crazy life becomes. Yay for you, darling!!! Jasyu and I have been friends since the first day of school in Form 5 at Ipoh International School. She was the 'new Malay girl' taking my title (thank God!) and we hit off instantly! We always had lunch under the trees near the gate beside the field along with Dee, Nasyim, Miel and others. We went to prom together and we were late because her dress malfunctioned. Eat pizza some more! Haha. 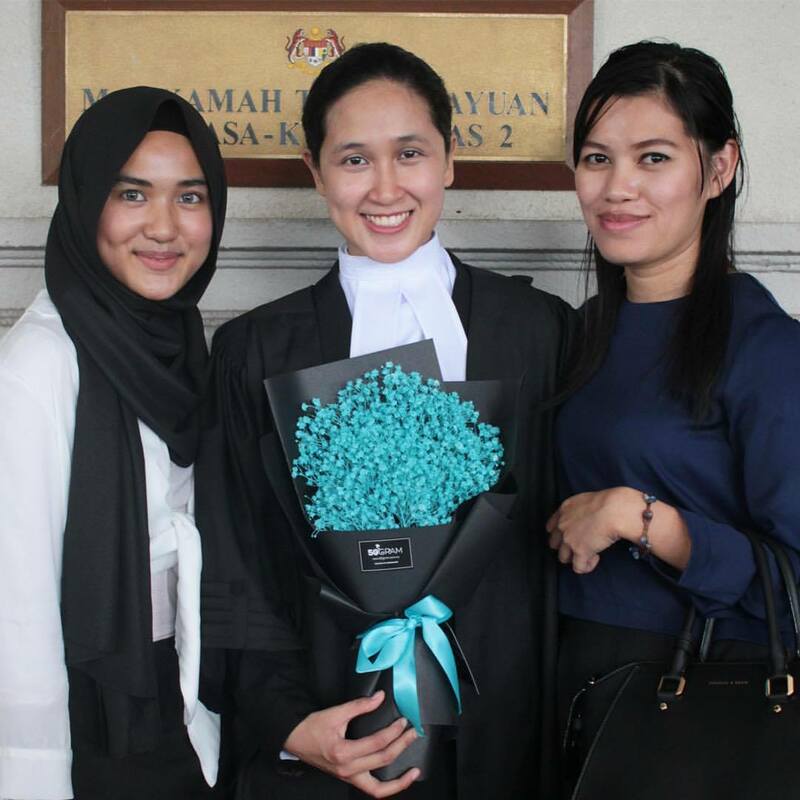 Fast forward 7 years, here we are, law graduates living in Kuala Lumpur. It's like almost all my best friends from Ipoh decided to move to the big city and here we are, two cities together in one lifetime. I honestly am so blessed to have this darling girl in my life. 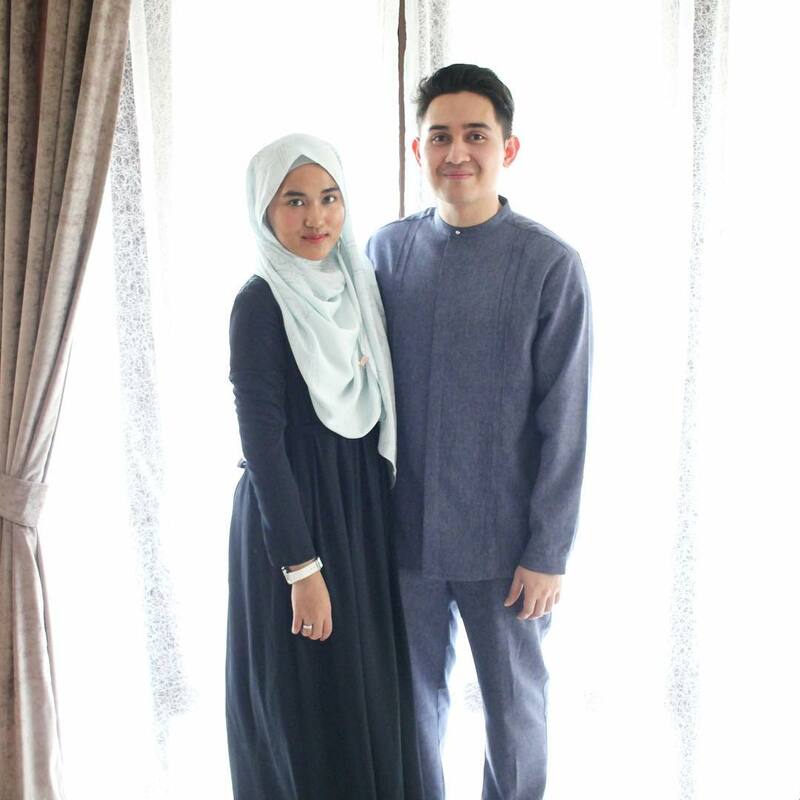 She came to my place in the evening, and we picked Mai up from Mandarin Oriental to head to NU Sentral. The first item on our agenda was to play Breakout, an escape room game. This was my first time and man, we were TERRIBLE at it! It makes me wonder where did all our education go. 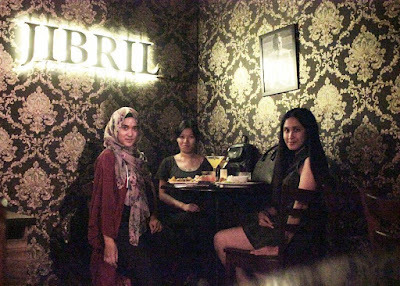 After, we headed for dinner at Jibril SS15 where we ordered like 5 drinks because we love pretending to be sipping cocktails. And we ended the night in CHAOS, a boutique hotel at Fahrenheit 88. We chose that hotel because its perfect for a night out. 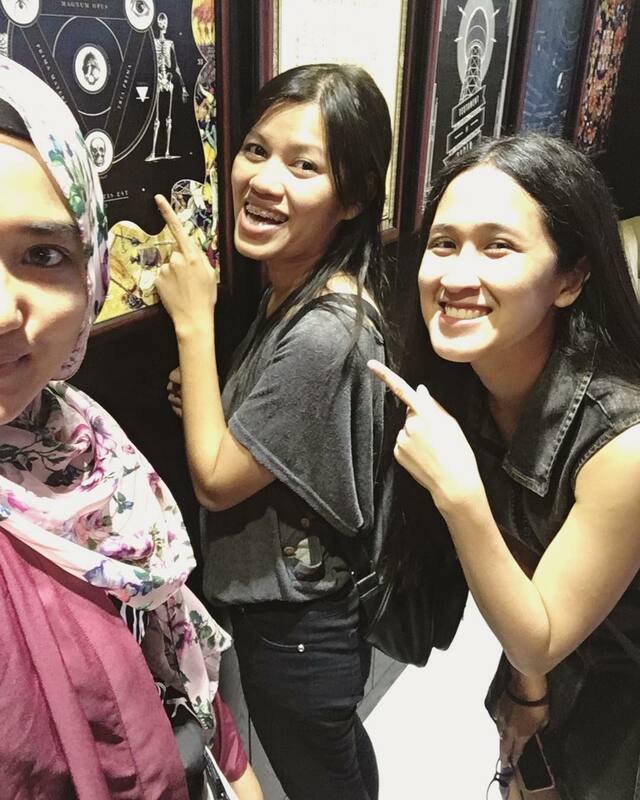 We could walk around Bukit Bintang and have a late night snack while enjoying the city. But of course, none of that happened. We checked in and fainted! 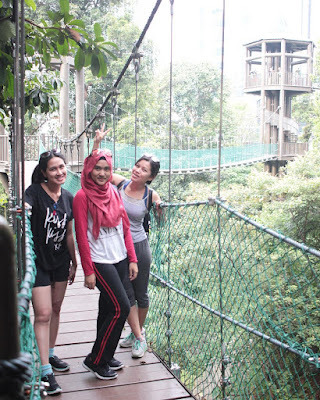 In the early morning, Mai woke all of us up to go for our morning walk (jungle trekking konon) at Bukit Nanas Forest Reserve also known as KL Forest Eco Park. It was a good walk because we're not fit and all the trails we went for were easy. We ended up topping up our burnt calories with roti canai because we're so YOLO. After checking out, we walked a bit around Pavilion and when we saw all these gorgeous (but totally inappropriate) bikinis, we shot back to my apartment for an evening lounging by the pool and jacuzzi. It was the best staycation I ever had with my darlings. I wanted a Euro Trip as my graduation trip since forever. Funny enough, a few weeks before our final semester began, I bought a notebook from Typo, with the Europe map as the cover. "This," I pointed at the notebook cover, "is why I will ace this semester!" And everyone knew about it. And our budget for an 18 days trip was around RM14,000 for two all inclusive. Mind you, we did NOT go backpacking. We stayed in hotels only because girl needs the comfort. My luggage weighed around 16kgs (fashion blogger here please no judging). We travelled using intercity trains only. Sometimes we used UBER and such. And we ate out at least once a day. Not so luxury but definitely no 'roughing it'. Flight tickets was the first thing on my list. Because I need to know when I'm going to be there to be able to book anything. Like before I book the hotel, I need to make sure I'm actually going to be there, right? So sometime in March, (mind you our trip was in August) KLM had their Dream Deals sale. I just clicked on whatever date is the cheapest that year for KUL - CDG - KUL and got them at around RM2,100 (including tax and credit card charges) per person for 1 August 2016 - 18 August 2016 (arriving in Kuala Lumpur on 19 August and went straight to KLFW that night). 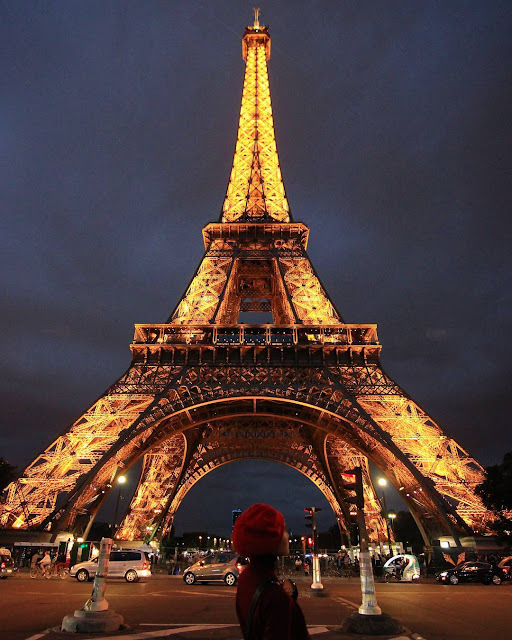 So now I know that I will be in Paris at the beginning and the end of the trip, I had to plan the round. I researched a lot via travelling blogs and also talked to family and friends. We really wanted to go to Paris, Amsterdam and Den Haag aka The Hague (because law students, hello!). And everything in between was from the research. I also had to make sure we could reach everywhere via InterCity trains and they are not too far apart. The hotel prices also played a huge role in our decision on travel time. For example, we slept in Brugge the night and immediately left early morning to head to the very expensive Amsterdam and planned on leaving Amsterdam very late at night for the cheaper Den Haag to be able to enjoy 2 full days in that city. This can be tricky. I literally opened every website including the hotel I am booking to compare prices. I found that since I was booking everything waaaaayyyyyy in advance, being a member of a hotel group works wonders. I am a member at AccorHotels.com and found that I got the cheapest price there for hotels that are in that group. However, I was not picky on the price so much as long as it's within my RM200-RM300 budget. 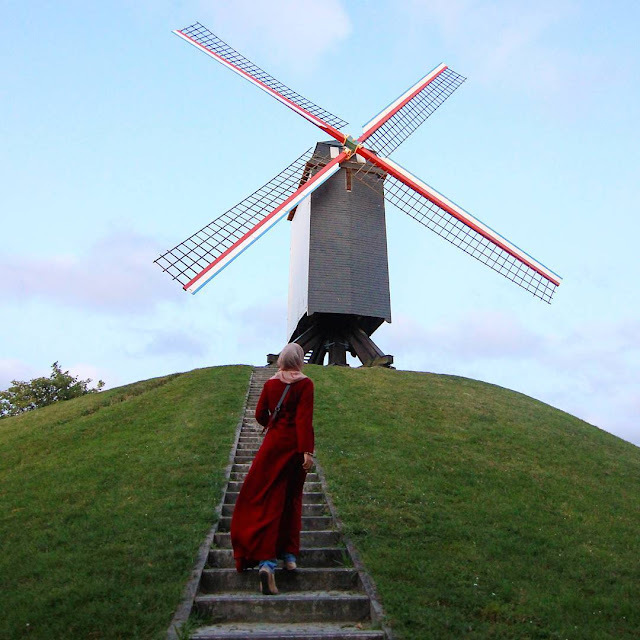 I saved a lot in Paris and Brussels, so I could spend more on hotels in Amsterdam and Luxembourg. I was picky on the location of the hotel though. Because if it's not in the city, it's going to be difficult travelling. Word of warning: Do your research on the hotel before booking because we almost booked a hotel with terrible reviews. But I only found the terrible reviews on one website. I didn't want to take the chance, so I booked elsewhere. Again, as we booked WAAAAAYYYYY in advance, purchasing the tickets direct from b-europe was cheaper than getting those rail pass. Caution: PLEASE CHECK THE DATES, TIME AND DESTINATION OVER AND OVER AGAIN because The Husband accidentally bought tickets the other way round. But we were able to get a refund, thankfully! You have to eat so say hello to Maggi Mee because eating is expensive and you really need to eat when you're travelling. But depending on city, you can definitely get cheap food here and there. We spent an average of 5 Euros per meal per person in Paris, 3 Euros in Brugge, 6 Euros for THE BEST EVER KAPSALON in Den Haag for 2 people! Amsterdam was expensive though. But do me a favour, don't limit yourself too much. Because you should enjoy where you go, so splurge a little here and there! We bought chocolates and we had hot chocolates and waffles at all these amazing places with great reviews because that's part of the fun of travelling! THIS! This was our saviour! Every city has at least one free walking tour and you MUST go for it. Choose the ones you want to go for and you will learn A LOT about city. Of course, for each and every tour, we gave tips, but its up to you how much. The better the tour, the more we gave. Or if that's all we could afford that day, we just give it. Because you make friends here too! I know I did! We travelled differently in different cities. We walked a lot! But we also used UBER for safety reasons or for speed and comfort. We used busses and subways too. Do your research, do your calculations and you'd be able to spend within your means. That's it for some of my tips for planning and budgeting for a 3 weeks getaway! I hope it helps you and I can't wait to share more about travels with you especially since I travelled a lot during my gap year last year! Let me know if you want me to talk about anything specifically, okay? 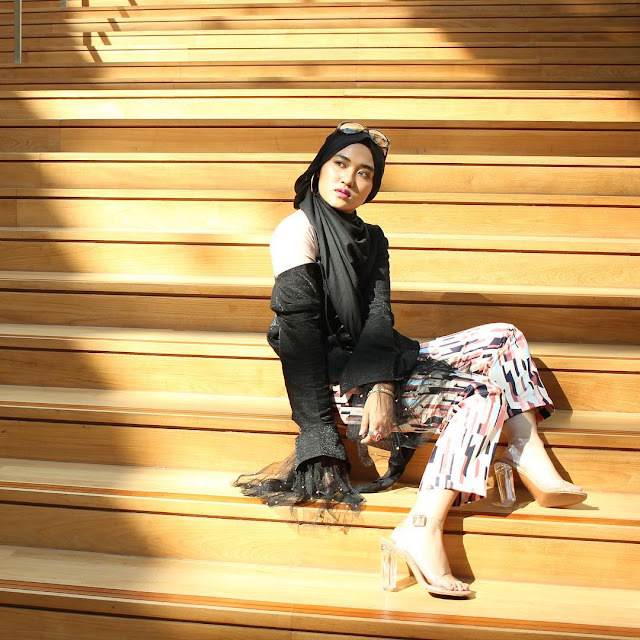 When Indah Ederra came to Malaysia for Asia Islamic Fashion Week 2017, I asked her if I can please have this AIRA ASYMMETRIC TOP because it spoke to me. Yes, fashion speaks to me. 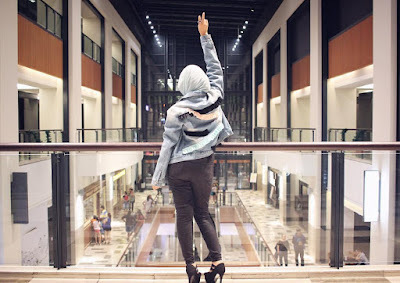 I knew Indah through Jogja based fashion blogger, Lia Ardiatami. She was my date at Jakarta Fashion Week and brought me shopping right after. She introduced me to Ederra's brand and I immediately fell in love! I was so excited when Ederra herself contacted me to invite me to her show. When we met up for tea after the show, she passed me this top as a gift! I was so happy I cried! My love for asymmetrical tops started awhile back. When I was travelling the world (still travelling now), I was so inspired. I became much more versatile and edgy when I came back from Europe and then I started working in the fashion industry and fell in love with fashion even more. It's all in the intricate details; I've said this before. The ruffles and the asymmetrical cuts remind me of life. You see, life isn't always easy. It's not simple.There's no straight line. There's never two lives that are identical. There's never two sides of a story that are identical. And what I had to go through. And these parts are never really, truly, completely, the same. There's always something that's different. On this pages, I write of the untold story of what I've seen. Of what I've felt. Like, I felt like your actions showed affection. Love, even. But maybe you didn't see me like that at all. And maybe we both have crushes on each other. But nothing more. Or maybe the truth is that we've been in each other's arms. Nor would they believe it. There's so many parts to a story. On this pages, is my story. 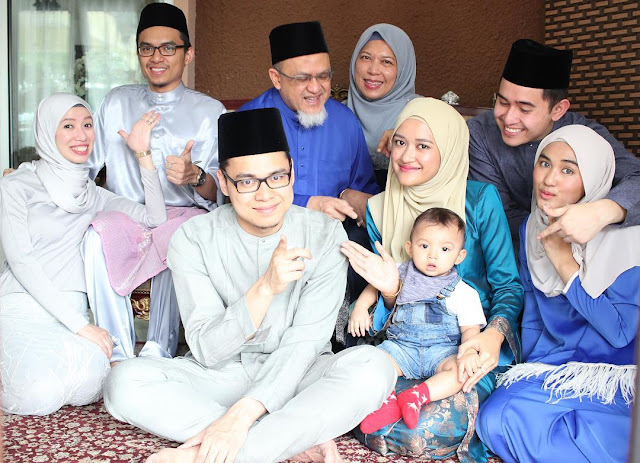 Hi guys and Selamat Hari Raya Maaf Zahir Batin! How was your Eid this year? I hope it's been good! This year, mine is exhausting. As per every Eid of my life, I am travelling back and forth to visit my grandparents, parents, in-laws as well as my aunts and uncles. It's just crazy. Here's a recap of my travels just so you can understand the pain. Haha. We were in Seremban on Friday because my brother's family flew in from Terengganu and my parents along with my younger brother drove down from Ipoh that day. And I was the driver for my brother's family. That, and also The Husband was able to leave his office and make it to Seremban just in time for break fast. We had to head back to KL on Saturday because The Husband's family planned out a family portrait photoshoot that afternoon and we promised to break fast with them. However, we headed to Johor that night itself because Johor is just so far and my whole family was there. So that night, finally, since October 2016, my whole family was in the same city at the same time. Achievement unlocked! As per usual, I had my Eid outfits all planned out and I forced my family to follow suit. Haha. 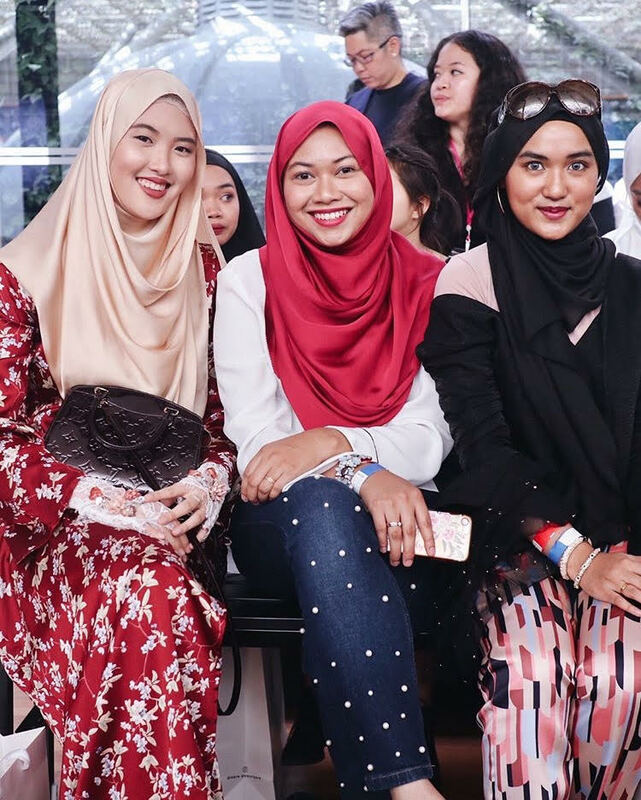 So for the picture above (from left): Custom made dual-tone kurung, BFF Lavender's Adele Exclusive Kurung Modern, aere's LAURENA dress, aere's AURORA Top with TAINA Pants, custom made songket kurung peak. Selamat Hari Raya Aidilfitri Maaf Zahir Batin. May you have a blessed Eid among loved ones. Please forgive us for all our wrongdoings, mistakes and flaws, be it intentional or accidental. I met the late Shea Rasol in person in 2014 at Langston Hues' Meet and Greet and was surprised when she came to say hi to me because she's my idol and I'm like nobody. I couldn't believe she knew me. We met at all sort of events but we became closer when she chose me as one of her protégés in 2015 and later, in 2016 all of us traveled together to Singapore to attend Tiq's wedding. To be honest, I didn't really plan the Singapore trip but kind of tagged along because it was the weekend after I got back from my 3 weeks long Euro Trip. With all I had left in my savings, something in my heart told me to go. It was our first and last trip together. If you haven't heard of Shazmin Hashim, you might have heard of Kanvas-ed. 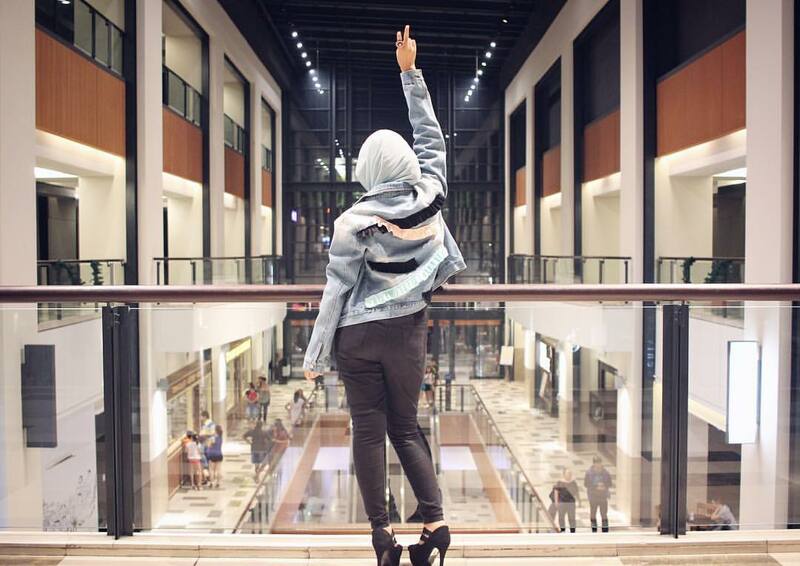 Basically, Shaz is the founder of the brand and as a whole, she is Air Asia Runway Ready Designer 2015 first runner up. 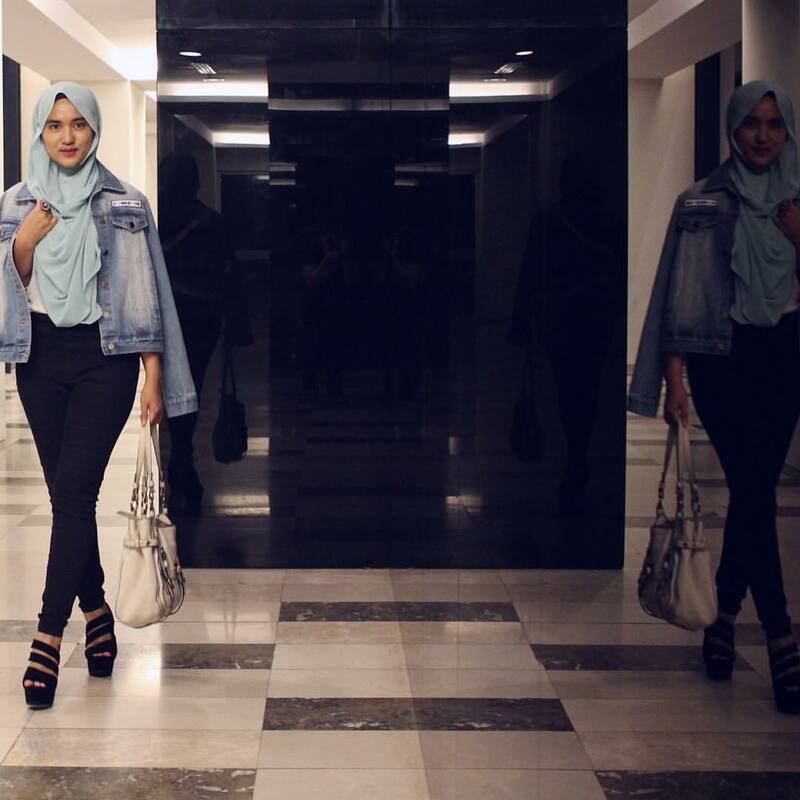 She has showcased her designs at KLFW 2016 and have been invited for KLFW 2017 as well! Kanvased derived from the word Kanvas. A simple bleached cloth that mainly use in art activities. But what happens here there is an -ED which is past tense. Conveying it into actions and movements of time. Kanvased stands for something already happened from the simplest fundamental of cloth that put together to embodice a silhouette in a form of conceptual design that follows the passage of timeless fashion piece. 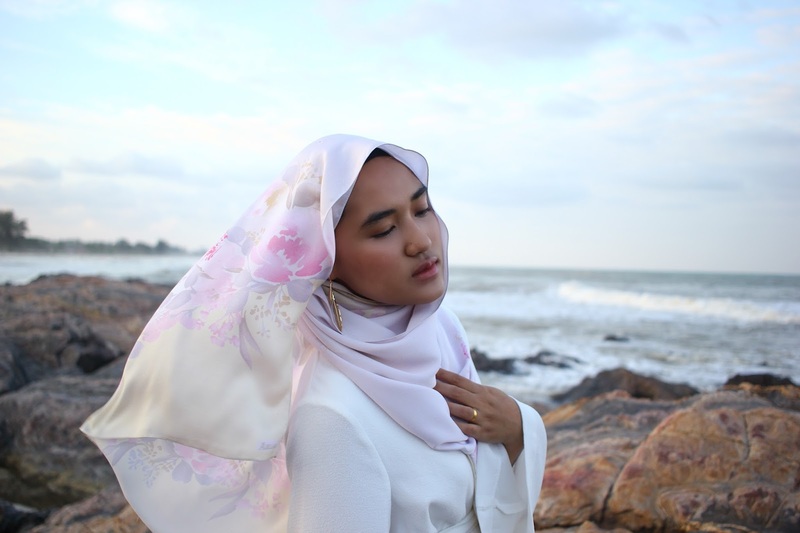 Recently, Shaz has collaborated with Royale Demure, a crowd-funding platform, to create and sell her designs. Royale Demure is a space where YOU get to support fashiontrepreneurs raise funds through pledging for their design campaigns. When the campaigns reach the minimum 30 pledgers by the time it closes - SUCCESS! They’re manufactured, undergoes a strict quality check & the new limited-edition apparel is posted to you! To be honest, I ABSOLUTELY LOVE the idea that Royale Demure has come up with. Crowd-funding is one thing. But as a designer and for sales, you get to know whether your product sells. It's great for testing the waters and gives room for learning and improvement for new and upcoming designers. Last week, I was invited to attend the signing of the MOU between the production company of the film JIBAM which is an adaptation of the work of well-known cartoonist, Ujang and Cantik Dara which is a health and beauty production company. The signing of the MOU was done at the famed restaurant Rebung by Chef Ismail. The film is directed by Che Mie with screenwriter Asmira Suhadis. 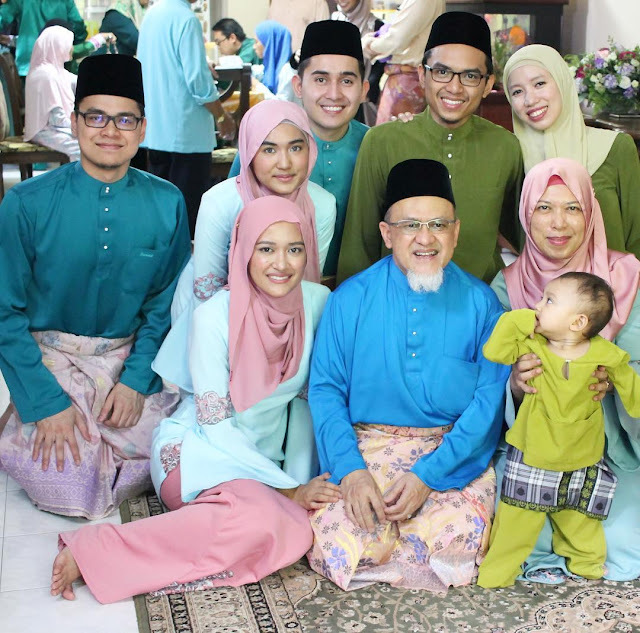 Members of the cast include Esma Daniel, Fadlan Hazim, Mia Ahmad, Kamarool Yusof, Kazar, A. Galak, Zaidi Omar and Bohari Ohmad, with Mohd Arif Abdullah in the lead role. 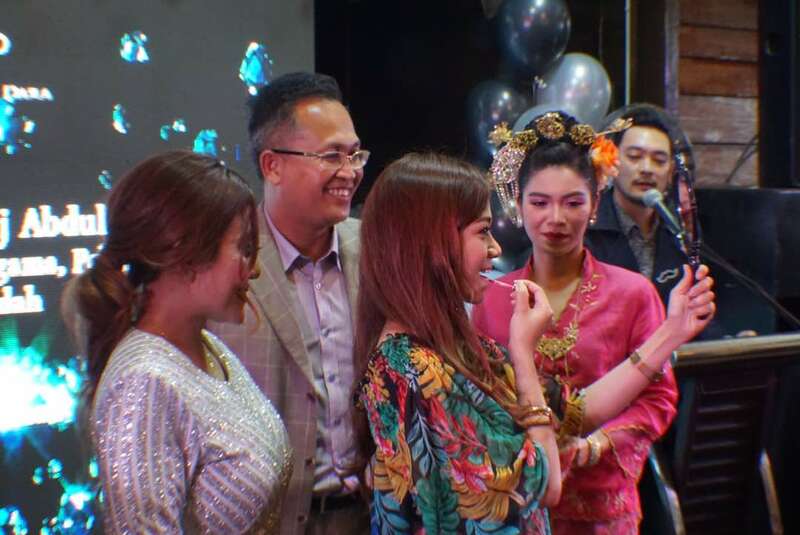 At the event, actress Ruhainies was announced as the face of Cantik Dara. 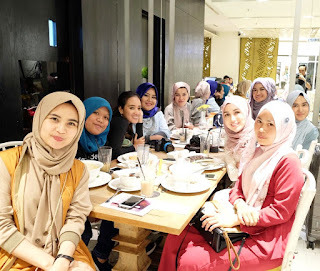 Recently, I was invited to attend a bloggers meet up for a sharing session with Mediherba Solutions. 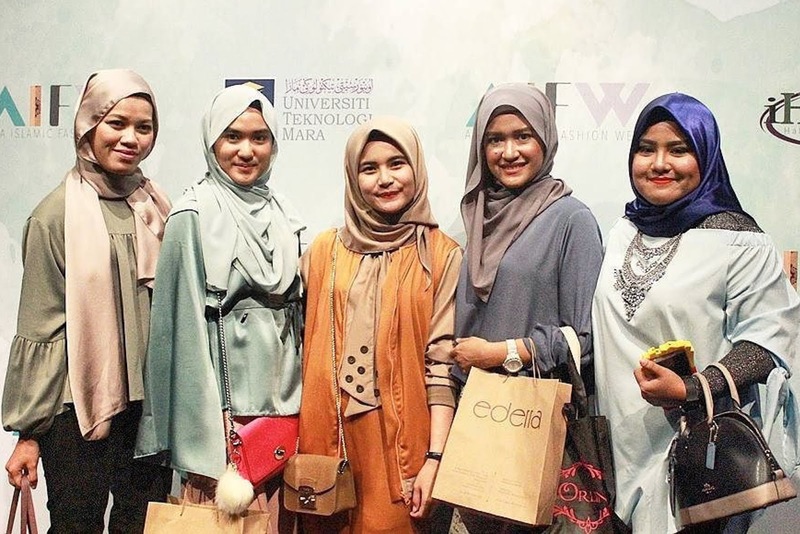 The managing director Puan Rohasniza Rosli, also known as Yaya Rosly, the fashion designer, explained in her speech that she was motivated to create these two products named Gula-Gula Magic (GGM) and Jus D'Ria due to a few reasons. Her creation of GGM is aimed to help women to overcome period pain, irregular period and at the same time helps to promote skin clarity without selling on the word 'collagen' because GGM does not contain collagen like many other supplements. As for Jus D'Ria, it was meant for her son who suffers eczema since baby. Her determination to find an alternative cure for her son was fruitful when Jus D'Ria emerged as a solution that is able to help treat eczema, sinus and asthma. I think I have said this multiple times. 'Hope' and 'Faith' are the two things that I truly hold on to to get through the days. So here I am in Terengganu, looking for them. I am not in London at the moment. The flight ticket you saw on my Insta-story was my brother's. Haha. Now, I want to ask you. How are you doing today? No. I am not greeting you. I really want you to think about how you're doing today. Good? Terrible? I want to know. But I remember dancing to forget. Little scenes of you and me. 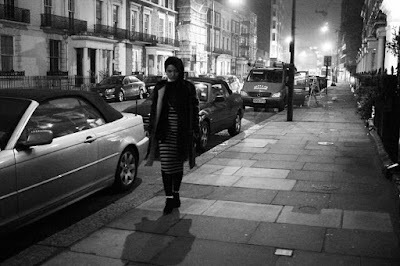 I'm still in London at the moment and am so inspired by the love we had at the lunch table that I just HAVE to blog about it. After the bloggers brunch meet up (which I will blog about later), Elffie had already made reservations for us at Oblix, The Shard. 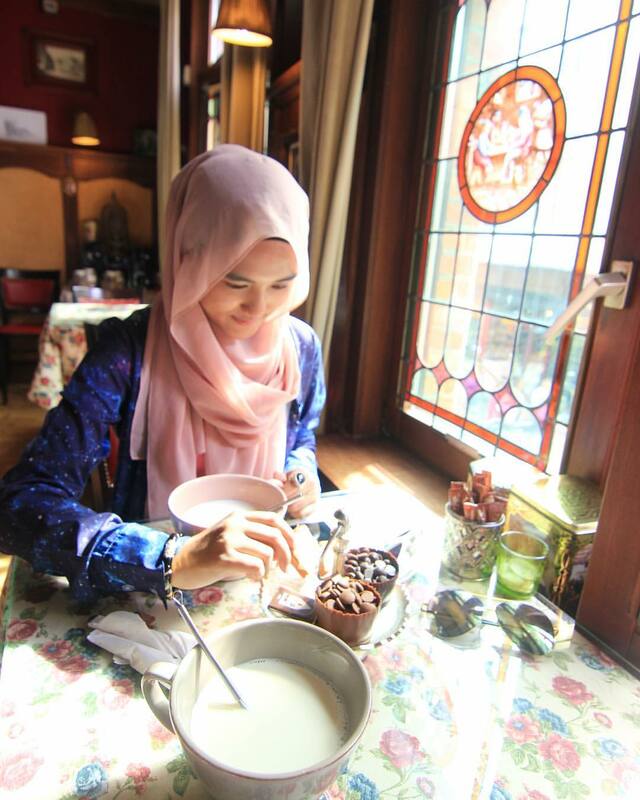 But since Anisah @ Pink Durian was late to brunch due to many misfortunate events and did not get to eat then, I asked her to join us. Because I absolutely missed her and wanted more time with her. So, like literally as we walked out of brunch, I turned to her and asked her to join the lunch. Poor Elffie! He had to make amendments to his reservations. I'm so lucky they had space. So after dropping my SIL off at the dUCk event, we headed for The Shard. Nad was already there enjoying the view while waiting for us slow-pokes. Traffic okay! Haha. And I will always wonder if you ever are where you want to be? In life, there's ups and downs. Don't forget anything, but learn from them. I faced a lot of things this year. But nothing can faze me. And I hope that the same applies to all of you. Keep strong, and face the new year head on. I know it's already more than halfway through January but I would like to wish all of you a happy new year anyway. We should really reflect on the year before we set out goals for the next. So what are your goals this year? For me, I really don't want to set anything too farfetched. I just want to be a better person in every way that I can. Improving how I was. 2016 was a magnificent year for me. I graduated and travelled like never before. I also started working. And throughout the year, I learnt so much about life, loss, love and hurt. I was reminded constantly about the decisions I've made, going back on them and changing my mind all over again. The world I am in and what it has become. And the world as it was and whatever of it that remains. The world keeps on changing. And I will always wonder if you ever are where you want to be. 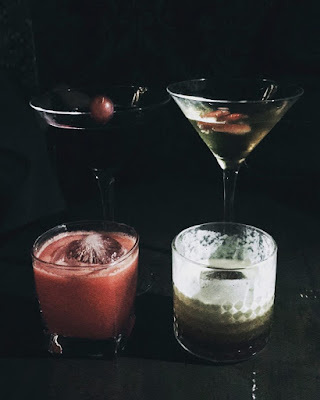 The Adlin Series: Celebrating her last birthday as a bachelorette. © 2017 Style By Sya. All rights reserved. Designed by Serene Graphics.